Britain’s congested roads can foil the best-laid journey plans, but Toyota is leading the motor industry in being the first manufacturer to offer motorists the benefits of TPEG digital traffic information. TPEG – Travel Protocol Expert Group – is a key feature of Toyota Touch Pro, the most advanced version of the new Toyota Touch multimedia system. It works with a DAB digital tuner to provide more detailed, accurate and timely traffic information, co-ordinated with the vehicle’s satellite navigation. The result is more efficient journey planning, with drivers kept better informed about the location of roadworks, accidents and jams and the impact on their journey time. Armed with this information, they can also make earlier and better decisions on re-routing options. 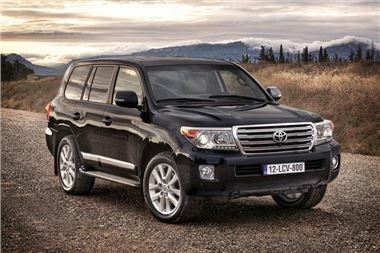 Toyota Touch Pro makes its debut in the Toyota range as a standard feature of the 2012 Land Cruiser V8. It is also available as part of the Technology Pack option that is offered for the 2012 Prius T Spirit. Until now RDS-TMC has been used to send traffic information to vehicle navigation systems, via analogue FM radio channels. Thanks to the higher bandwidth available with DAB digital radio, the new TPEG standard can be used to provide drivers with more detailed and useful traffic information, whether travelling around town or making long cross-country journeys. Where RDS-TMC is limited to alerts about incidents, such as accidents or roadworks, the 10-times greater digital bandwidth means TPEG can give motorists more detailed intelligence about what is happening on the road ahead, with details of traffic speeds, the length of queues and the impact of a delay on overall travel time. TPEG also offers pinpoint accuracy, being able to locate events precisely using latitude/longitude co-ordinates; RDS-TMC can only inform drivers of the general location of incidents and jams. Overall TPEG can deliver traffic information and incident alerts five times faster than the analogue service, giving drivers more time to decide whether to programme a new route before they become caught up in tailbacks.